RICHMOND'S AWARD WINNING INDEPENDENT HAIR SALON and SW London Most Wanted Hair Salon offering 5 star Customer Excellence. Sheen, one of Richmond’s premier hair salons, is the go-to destination for contemporary cutting, colouring and impeccable customer service. First time at Sheen. Georgia was brilliant, I love my new colour and cut. She really listened to my wishes and concerns and delivered over and above. Thank you! Good service and nice blow dry. Always a great cut and colour from Georgina. Wonderful experience from the start to finish, from phoning up to book a same day appointment, to the moment I left the salon with a fresh cut! Both Georgia and Jai had impeccable customer service and are real assets to the salon. Even though it was late, I did not feel rushed, as Georgia really took the time to to talk with me and understand what I wanted, while giving her professional advice. Despite the late time, Georgia definitely still put the time in to focus on my cut and perfect it to get it right. Before my cut, Jai washed my hair while Georgia finished up with another client, and from the very start he was great too! I've had problems with my scalp for a while, which makes it a little nerve-racking visiting salons, however both Georgia and Jai were amazing, and I got a great haircut to out of it too! Looking forward to my next visit - thanks to Georgia and Jai! Georgia worked really hard to fix my colour and didn’t give up until it was perfect and exactly as I wanted it. She gave a lot of time and energy to get it right - I was very impressed. I received expert advice and left with a fresh twist to my usual haircut and colour ! Jai did another perfect job of colouring my hair, thank you. Jai originally rescued my hair from a colour disaster last year and I’ve been happily, loyally returning since. He takes the time to consultatively discuss my needs, hair history and agree best approach. Then deliver the results with a lovely personal charm and attention. Thanks all and great job again Jai. Thank you, Samantha, for sharing your experience with Jai. We agree he has a unique way of working with our clients - with such enthusiasm and personable charm. He really wins you over! and of course uses his magic with your hair!. We look forward to welcoming you again soon. From all at Sheen team. Great place, very professional and friendly staff . Georgia cut my hair and I like it very much . Wonderful first time experience! Definitely coming back! Fabulous Raquel! Thank you for sharing with us, we will look forward to welcoming you again soon. From all at Sheen Salon. It was my first visit to the salon and Georgia was amazing! She talked me through all products and explained about my hair type. I will definitely come back to her. Thank you for lovely hairstyle. Georgia does a brilliant cut every time. The colour turned out lovely too. 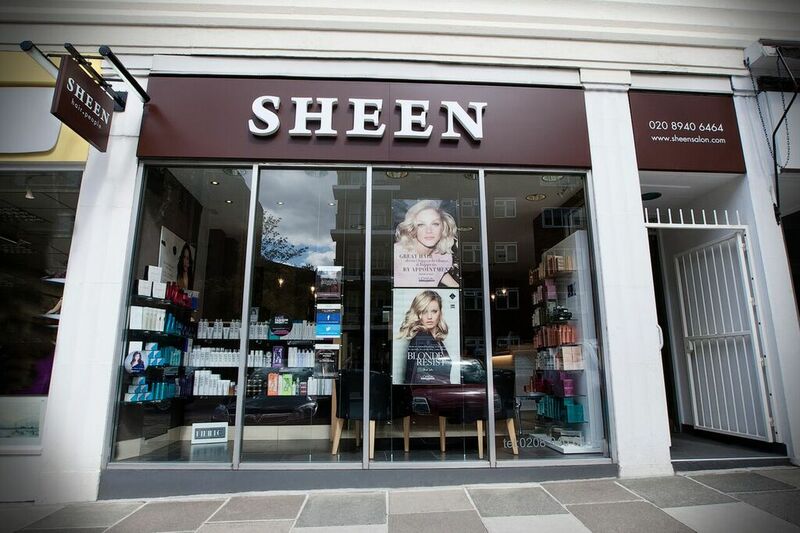 Always leave Sheen looking better and feeling happy! Nice to meet Natalie who was great too! The staff at Sheen Salon are always super friendly and welcoming, the service offered is second to none. Alice is an excellent stylist listening to you as a customer and then giving advice on the best cut to suit you and your lifestyle. On occasions when Alice hasn't been available I have had my hair cut by Georgia who is also excellent. I have no hesitation in recommending Sheen Salon to friends and family. 1st time there and Georgia done my hair. She was so professional but super easy to get on with! Her and Jai made me feel so welcome. Cant wait to go back! I have been to the salon twice and both times I was greeted with a smile and a warm atmosphere. I felt like I was thoroughly looked after and the advice provided for my hair and style was very in depth and useful. This salon is highly professional and took care of my needs. I would definitely recommend it to anyone. They make you look and feel like a celebrity! Popped in once on the spur of the moment, still going back going on 3 years now. I have previously remained loyal to other salons for years and nobody knew me (or cared for my custom). Within a few visits all got to know me here and greet me with familiarity - not just my stylist. They really care about customer service here. Once, through no fault of their own, my stylist was running around an hour late with appointments. She apologised, told me the situation up front to check if it impacted my day or I'd need to reschedule, and rewarded my patience by giving me a free hair treatment to fill up my waiting time. They just seem to care! Such an amazing salon with Michelle leading the exceptional team.My hair has never looked so good and i am constantly complimented on the colour and condition.The customer service is consistently high and i really enjoy every visit.Michelle is an inspiration to all and is someone who is always looking to move her successful business forward.She is very much admired by her loyal clients,salon manager and stylists because of her sheer professionalism and people skills.This is the best salon i have ever had the pleasure of visiting. Thank you, Jan for taking the time to share your experience at Sheen. We are very proud, as a team to hear your kind words. We love making your look and feel special! We look forward to welcoming you again next time. From all at Sheen Team.